Amazon is running two big Cyber Monday 2018 deals on Arlo home security camera systems, and they’re both very solid. You can snag an Arlo Pro 2 system with two wire-free cameras for $313 instead of $480, or a 5-camera Arlo Pro 2 system for $693. Of course, it goes without saying that even on sale at deep discounts, Arlo cameras are still really expensive. If you’re looking for a great alternative for a fraction of the price that even offers some big benefits over Arlo cameras, we’ve got just the thing. 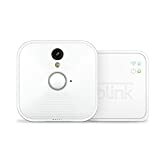 The Blink Indoor Home Security Camera System and Blink XT Home Security Camera System are both on sale for Cyber Monday at all-time lows on Amazon, and they’re soooooo much less expensive than Arlo despite offering 2 year battery life instead of 2-3 month battery life like Arlo Pro 2 cameras. 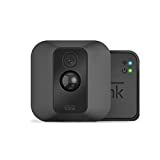 Prices start at $67 for Blink Indoor cameras and $79 for a Blink XT system, but let’s compare apples to apples: a 2-camera Blink XT bundle will cost you $150 instead of the $313 you’ll pay with the Arlo Pro 2 deal, and a 5-camera bundle is $350 instead of $693!